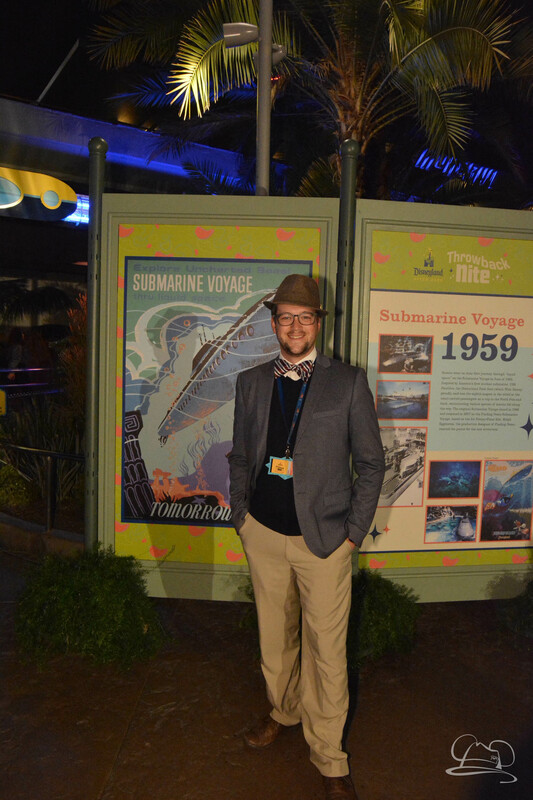 On January 18th Disneyland hosted a special ticketed event Disney After Dark: Throwback Nite. This event was a blast to the past as it celebrated the history and magic of Disneyland in the 1950s and 1960s. 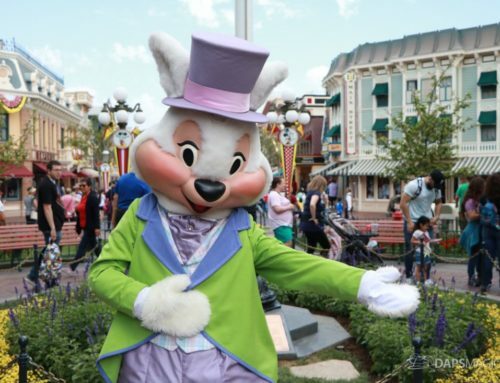 The event’s tickets were $95 each and allowed guests to enter the park with special maps, a lanyard, Photopass, and the opportunity to experience a lot of special offerings. The event began at 8:00 PM as Disneyland ended its normal operating hours. 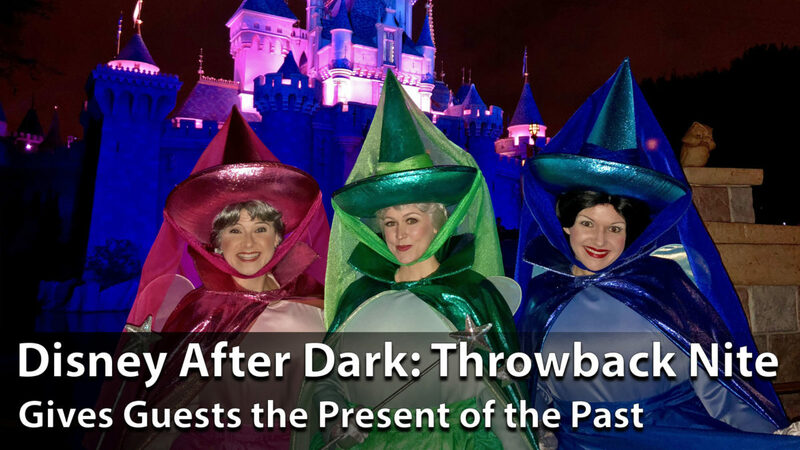 Tickets for Disney After Dark: Throwback Nite allowed guests to get into the park at 6:00 PM. By the time the gates opened a line had formed of several hundred people. A majority of the people in attendance were dressed for the occasion. Some were dressed in their best 50s and 60s dapper outfits, others went more of the greaser routine. It was really fun (and impressive) to see just how many people dressed up for the event! There were quite a few options for entertainment during Disney After Dark: Throwback Nite. All were themed to days gone by and all were quality and enjoyable. At 8:00 the event kicked off with the two DJs in the Central Plaza welcoming everyone to the event and kicking off their ‘broadcast.’ Throughout the night, guests could leave notes that were read ‘on air’ to celebrate special occasions, loved ones, or just other fun shout-outs. They continued their broadcast, as people danced the night away, right up until the event ended at 1:00 AM. The Tim Gill All-Stars performed by it’s a small world throughout the night. They were joined by dancers all evening that added extra life to an already vibrant performance. This big band is always a lot of fun but add the electricity of a special themed event and the magic soared to a whole new level! Swing dance lessons were also given when the band wasn’t performing. If you haven’t seen this group before, I highly recommend it the next time you can! This Polynesian group fit perfectly in Adventureland and was easily one of the highlights of the night. The group performed right outside of the Tiki Room exit and couldn’t have been better placed. With both musicians and dancers performing, this group gathered a crowd every time they performed. If they seem familiar, they have been seen at other events around the Disneyland Resort performing the songs and dance of the South Pacific. If it weren’t for the way they gathered a crowd and the size of the Adventureland walkway, they would be a fantastic regular entertainment offering. 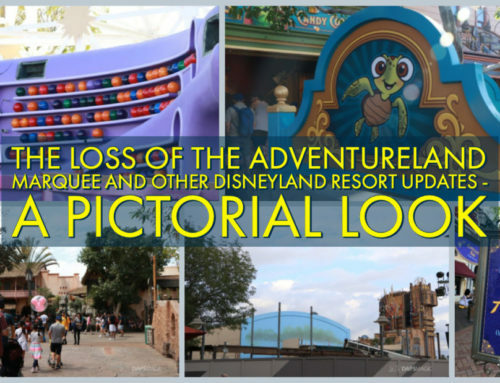 Of course, this really would be the rebirth of the old Tahitian Terrace… which wouldn’t be a bad thing either! The Atlantic City Boys were comprised of four male vocalists singing classic hits from the 50s, 60s, and 70s. They performed in two locations throughout the night. 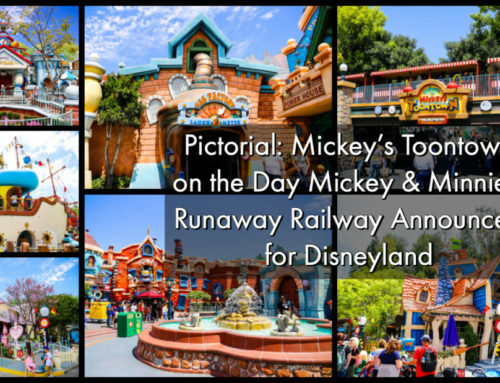 Their first and last sets were performed in front of Main Street Station with a live band. The other two sets were in the Royal Theatre in Princess Fantasy Faire to pre-recorded tracks. Each location had dancers and quite a few fans. During the final set of the night, which closed out the event, even Minnie Mouse joined in the fun and danced the night away to their energetic harmonies. Later in the evening, the Mark Twain came alive with a live jazz band as it made its cruises around the Rivers of America. This is perhaps one of the most magical things that Disneyland does! It was completely magical hearing the music of the Rat Pack along the Rivers of America. The lights aboard the Mark Twain and the plethora of people wearing their best dapper outfits definitely added to the magic as well. This was perhaps one of the most enchanting offerings of the night! It is something I would love to experience on a regular basis! The original fireworks spectacular, Fantasy in the Sky, was presented above the skies of Disneyland. 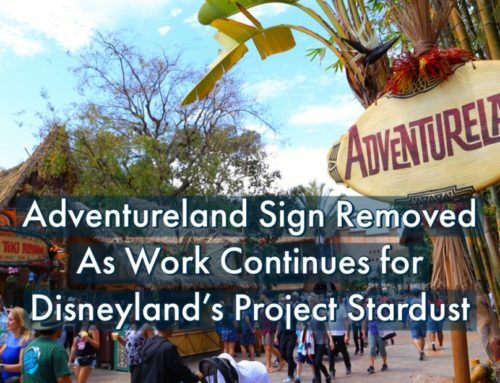 It was preceded by a brief announcement by Bill Rogers, the voice of Disneyland to add context to the show. While this show has been modified through the years, it is still a classic and was fun to watch while being surrounded by people in their best dresses, suits, hats, and Mickey Ears. The Dapper Dans could be found on Main Street, USA throughout the night. They were dressed for the era as well and had grown mustaches for the evening. A few new jokes appeared to be thrown into their routine. They were a hit with those in attendance and rounded our a very solid entertainment offering at the Disneyland Resort for Disney After Dark: Throwback Nite. The entertainment for Disney After Dark: Throwback Nite was definitely one of the highlights of this event. Throughout the night, the different offerings provided something fun for everyone at any given time. The energy added to the event also kept things lively right up until the end! They had a nicely diverse collection of music and each offering had its own charm that made each incredibly enjoyable. I think if I could have made ONE change I would have had a group in Tomorrowland as well, perhaps the Atlantic City Boys. That being said, it was pretty awesome ending then night watching them perform up on the Train Station platform! The atmosphere for Disney After Dark: Throwback Nite was absolutely wonderful. There were characters, exhibits, and photo locations throughout the park. All were incredibly popular. Each of these characters was fun to see. It was especially great seeing Mickey, Minnie, and Goofy in their special themed outfits for the night! There were multiple photo locations and exhibits to be found throughout the park. The photo locations recreated special throwback moments. In general, these had lines that could be a half hour or more throughout the night. And yes, they were that good. There was a 1961 Bel Air with the Disneyland marquee location in Tomorrowland, a Malt Shoppe recreated on Main Street, and Mickey Mouse Clubhouse in Town Square on Main Street, USA. The lines for these were fairly consistent throughout the entire event. This really should come as no surprise though as they were awesome and also Photopass photos were included with the ticket! The most popular one was definitely the Skyway Buckets where a Skyway Bucket was available to take a picture inside of! The line seemed to be around a half hour for this opportunity throughout the night. There was also a button available for Disneyland Resort Annual Passholders that was found in New Orleans Square. Early in the night, the line for this started quite long but it shortened later in the evening. The button was a nice little souvenir for the evening. I will admit that I was so caught up in the entertainment, exhibits, photo locations, and characters that I just didn’t have time to try out any of the food. From what I observed though, it was well received. I did not purchase any of the merchandise either but it also seemed quite popular. 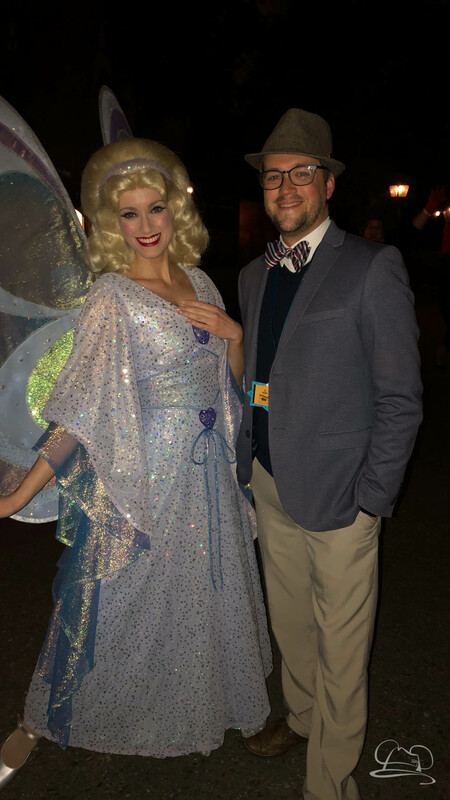 Disney After Dark: Throwback Night (#disneylandafterdark) was something I went into not really knowing what to expect. There hadn’t been a TON of specifics given about the evening, more just a general idea of what was coming. This turned out to be a great gift. I ended up staying right up until the event ended at 1:00 AM. Afterwards, as I was walking to the parking lot with Paul from Window to the Magic we both commented on how we weren’t tired at 1:00 AM after trying to experience as much as we could of this party for five hours. For me, this was after a full day of work as well. I found myself energized at 1:00 AM and ready to go experience more! All that to say, Disney nailed the energy and offerings in a way that made the event fun, fulfilling, and it ended while it was ahead before you could get tired of it. I know the question is being asked all over, is it worth the $95 ticket? The answer really depends on what you value in your Disney experience. The pros are that the characters, entertainment, and photo opportunities were awesome. Add to this the fact that there are short lines for the attractions and easy to walk paths and it’s like what Disneyland used to be on Sunday nights. Oh yea, there are also the special merchandise and food offerings also. All that being said, I felt like the experience was worth the price just because there was so much more to experience in a way that was so much easy. 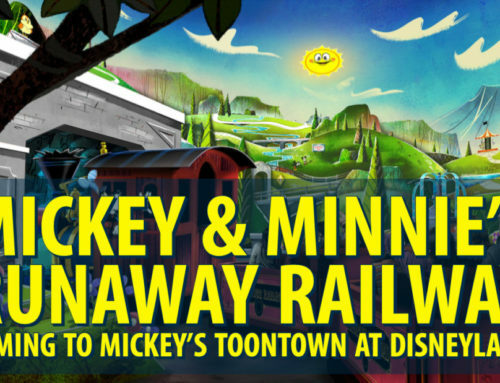 If you are looking to get an inexpensive ticket into Disneyland, this probably isn’t your best choice. 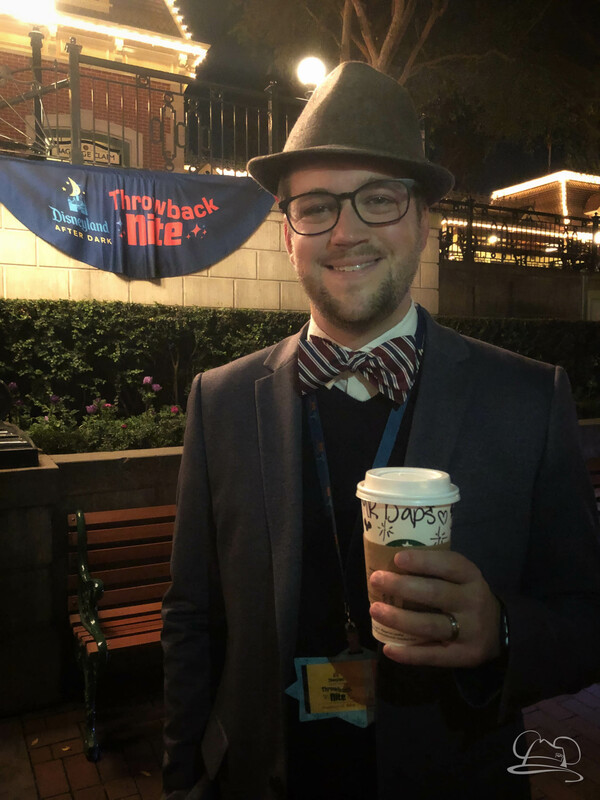 Disney After Dark: Throwback Nite was really an unexpected surprise for me this year. I went from not having an opinion about these special events to eagerly looking forward to seeing what comes next. This event sold out an hour or two before it began. I predict the next one will sell out much sooner. I know I will be buying my ticket much earlier! What did you think of Disney After Dark: Throwback Nite? Were you there? Let us know your thoughts about it if you were there in the comments. If you weren’t there, let us know what you thought of what you learned from our coverage!